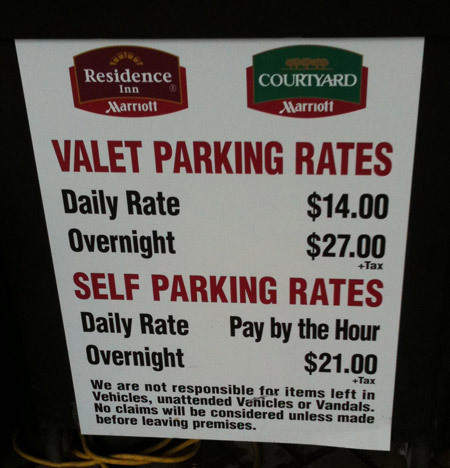 Austin really is weird: they tax only overnight parking, not daily parking. The real issue is there seems to be all kinds of unnecessary capitalization here: “Vehicles, unattended Vehicles or Vandals”. I suppose it’s possible Austin is infested with the Germanic people who ravaged Gaul, Spain, and North Africa in the 4th–5th centuries and sacked Rome in 455 AD. If that is in fact the case, Marriott would definitely want to insulate themselves from liability. 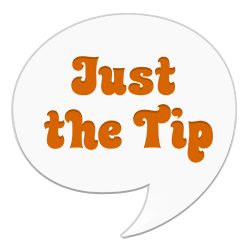 Assuming the capitalization is incorrect, however, it seems the hotel is not responsible for items left in vehicles, items left in unattended vehicles, or items left in vandals. You’re a valet service. You’ve got nothing but unattended vehicles!